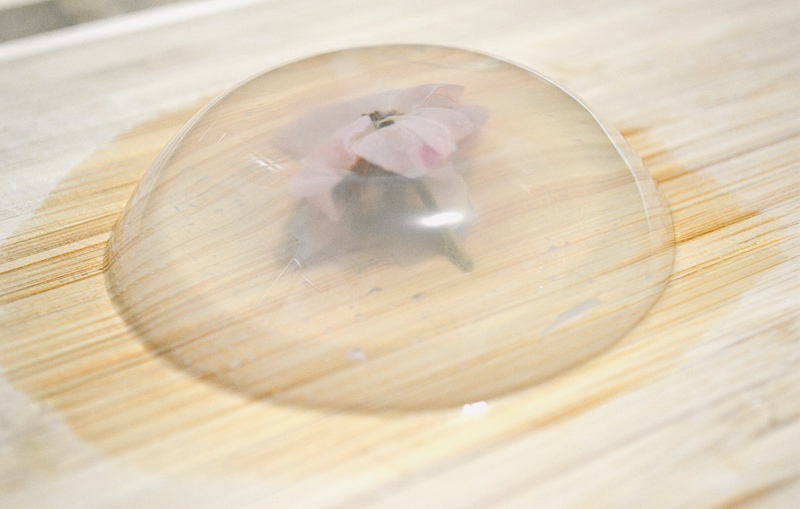 Articles diy Raindrop Cake, Not a Cake? 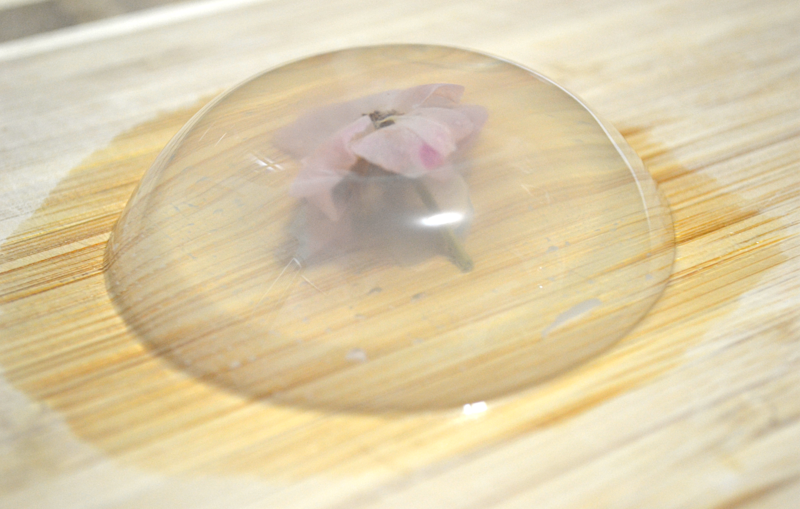 Have you ever wondered what a raindrop would taste like if it was transformed into cake form? Look no further! Raindrop cake, albeit very different from your typical, traditional cake, will let you have a truly magical experience. I’ve always loved scrolling through food reviews and videos. One trend that emerged in recent years caught my eye. It was a clear, beautiful jelly bubble resembling a raindrop. It seemed so unique that I set out on a journey to try creating it myself, and it was definitely not an easy task. Being able to set the cake while trying to keep it light, soft, and bouncy and to where you’re able to feel like you’re eating a drop of water took many trials and errors. Keep reading to discover more about the secret ingredient and how you can make your own raindrop cake! Raindrop cake, also known as Mizu Shingen Mochi, was first created by the Kinseiken Seika Company in Japan, using two main ingredients: fresh, mineral water from the Japanese Alps and agar. This light, refreshing delicacy resembles a jiggly, blob of jello, but will melt in your mouth and fill it with a hint of sweetness and nuttiness when paired with brown syrup and roasted soybean flour. But beware! If not eaten immediately, this dessert will dissolve and vanish within 30 minutes as recipe calls for the minimal amount of agar. The key ingredient that solidifies water into a raindrop cake is a polysaccharide known as agar-agar. Agar is made from seaweed or red algae, Gelidium amansii. 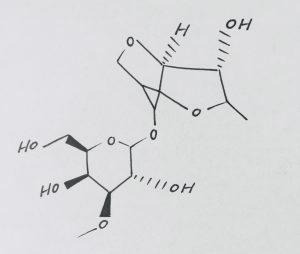 It was first introduced in Japan over 350 years ago, in 1658, and is still commonly used to this day due to the hydrocolloid properties and agarose composition that allow it to form gel-like substances using hydrogen bonding in the presence of water. 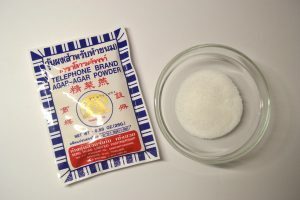 Agar is also unique in that its thickening properties are reversible; disintegration occurs when temperatures are varied. Due to agar’s gelling ability and the ease at which substances can be gelled, melted, and reformed, agar has numerous uses. One of the most common applications of agar can be found in the food industry. Agar is used in canning foods and is also tasteless, making it a perfect addition to foods and desserts that need thickening such as ice cream, icings, puddings, cookies, jelly, and pie fillings. It can also be found as an agar jelly or as a crystal boba topping in many bubble tea drinks. 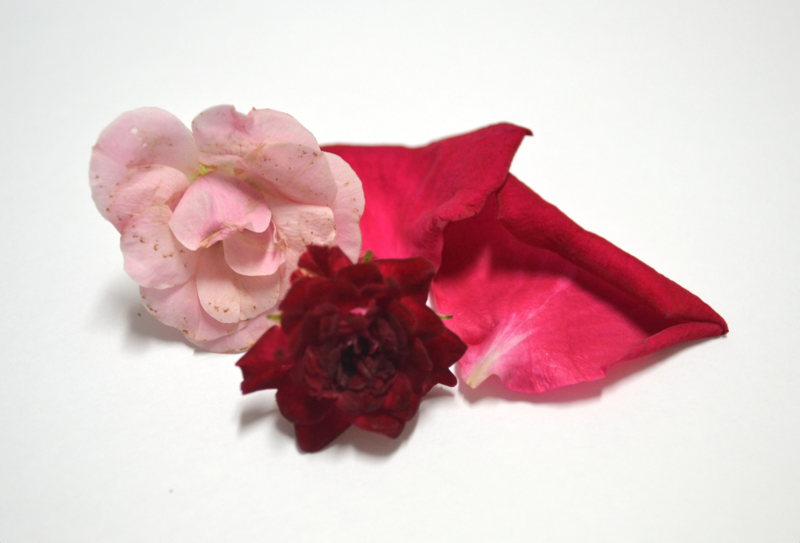 It has also been used as a laxative and in diets due to its ability to stimulate fullness using low calories. 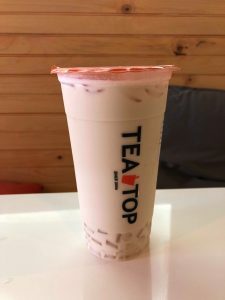 Agar jelly used as a topping for bubble tea. This was the first time I’ve ever had agar jelly, and I haven’t looked back since! Yum! Application in biology labs as a medium to breed insects like silkworms and fruit flies or to culture bacteria and yeasts is also common. 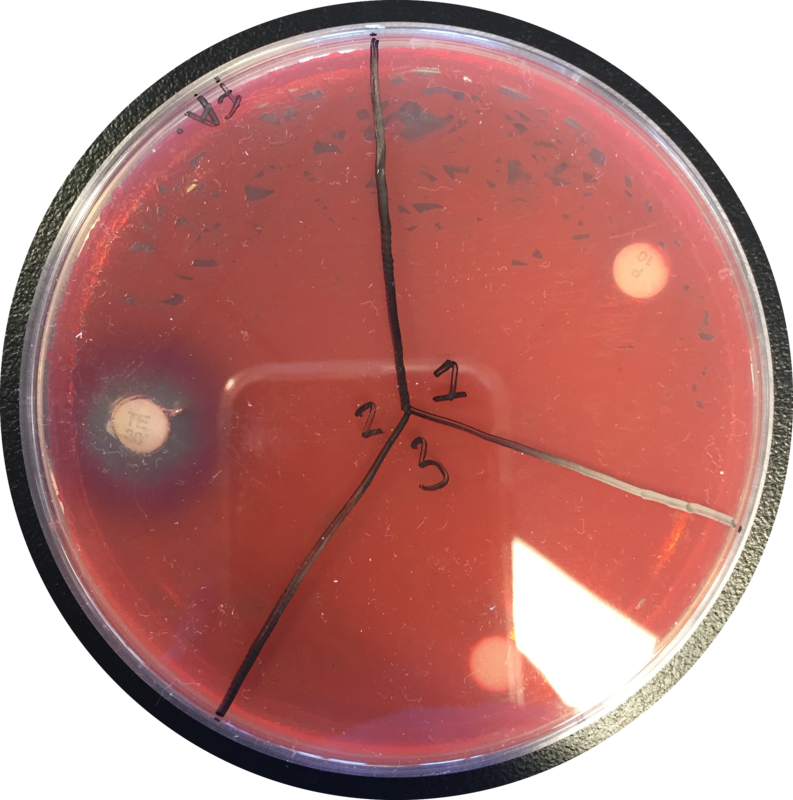 Here an agar plate was used to culture Serratia marcescens, a Gram-negative bacteria. 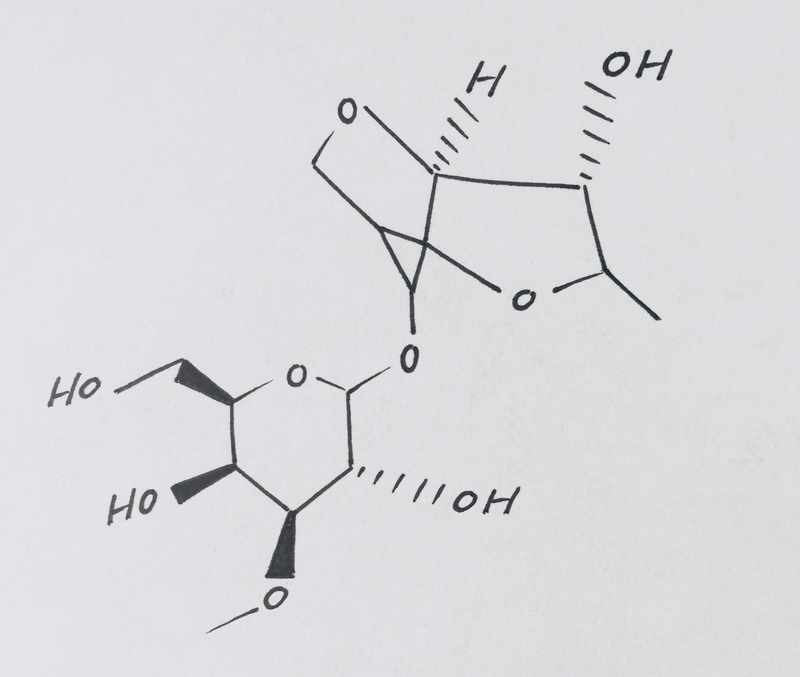 Agar is a valuable ingredient for many reasons such as being extremely low in calories and containing fiber. Agar also does not require sugar to solidify, which is highly beneficial in food preparation for diabetics. It is also known as a vegan and vegetarian gelatin substitute, and best of all, it is an environmentally friendly product. Here’s how you can make your own raindrop cake that has swept the internet in recent years! Dissolve agar and water in a small pot. Allow mixture to come to a boil over medium-high heat. Continue boiling over a medium heat for 1-2 minutes. Let mixture cool and place in the fridge overnight or until it sets. To make syrup, dissolve the brown sugar in water over medium-high heat until mixture boils. Maintain a rolling boil for 1 minute. Remove mixture and let cool. Serve with raindrop cake along with optional soybean flour. 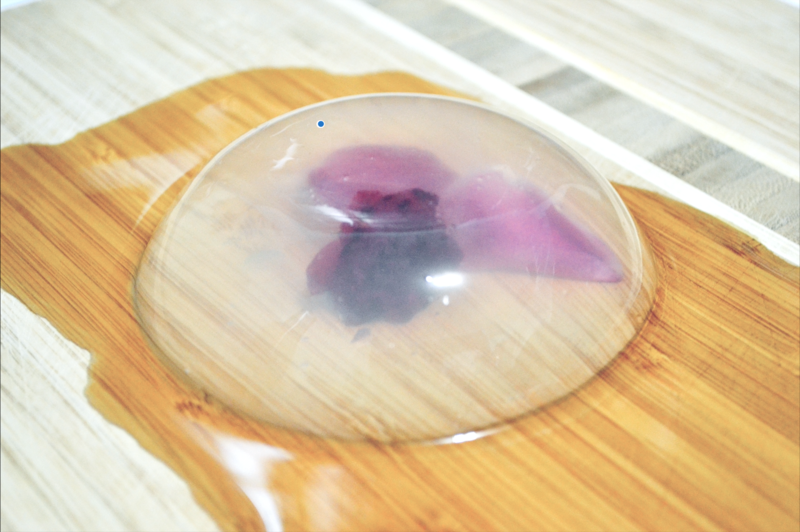 *Consume your raindrop cake upon taking it out the fridge. May melt if left out for over 20-30 minutes. National Center for Biotechnology Information. PubChem Compound Database; CID=71571511, https://pubchem.ncbi.nlm.nih.gov/compound/71571511 (accessed Sept. 28, 2018).